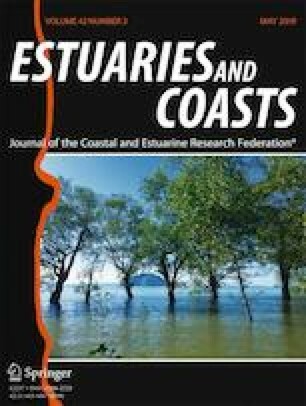 This study investigates and compares the seasonal variations during winter and summer of living benthic foraminiferal assemblages in the Saquarema Lagoon System (SLS) located in a tropical coastal region of SE Brazil. The physicochemical parameters in the SLS presented strong differences between both seasons; however, they remained quite homogeneous in winter and exhibited great oscillations in summer. In the study area, 29 and 19 living foraminiferal species were identified in summer and winter, respectively. Ammonia tepida was the dominant species in both seasons followed by Ammonia parkinsoniana and Cribroelphidium excavatum. The detrended correspondence analysis showed that in the SLS: the calcareous species, such as Adelosina carinatastriata, Bulimina patagonica, and Miliolinella antartica were mostly influenced by high dissolved oxygen contents and low temperature, whereas the agglutinated foraminiferal species were indicators of the most confined lagoonal areas, under the lowest pH and salinity values. The results of this work evidence that the seasonal variation in the SLS might play a more important role in the benthic foraminiferal assemblages’ distribution than the anthropogenic impacts and shows the importance of seasonal studies for coastal biomonitoring programs. The online version of this article ( https://doi.org/10.1007/s12237-018-00514-w) contains supplementary material, which is available to authorized users. This study was funded by the National Council of Technological and Scientific Development—CNPq (grant: Universal 445830/2014-0). Pierre Belart and Débora Raposo received scholarships from the Coordination for the Improvement of Higher Level Personnel (CAPES). Renan Habib received scholarship from CNPq. This research was supported by the National Council of Technological and Scientific Development—CNPq (grant: Universal 445839/2014-0). This study was financed in part by the Coordenação de Aperfeiçoamento de Pessoal de Nível Superior—Brasil (CAPES)—Finance Code 001. The author Pierre Belart received a grant from CAPES (Finance Code 001). The authors Maria Virginia A. Martins and Lazaro Laut received a scientific productivity grand from CNPq (reference numbers: 301588/2016-3 and 301870/2016-0). All applicable international, national, and/or institutional guidelines for sampling have been followed, and no specific permissions were required for these locations/activities. The field studies (and the provided specific locations by GPS coordinates) did not involve endangered or protected species and areas or particular spaces. Bomfim, C.S., C.G. Vilela, and D.C. Guedes. 2010. Benthic foraminifera in surface sediments in the Maricá Lagoon, Rio de Janeiro State. Anuário do Instituto de Geociências 33 (1): 09–19. https://revistas.ufrj.br/index.php/aigeo/article/view/6799/5396. Accessed 17 Apr 2018. Hayward, B.W., Cedhagen, T., Kaminski, M., Gross, O. 2016. World Foraminifera database. http://www.marinespecies.org/foraminifera. Intituto Nacional de Meteorologia (INMET). 2017. avaible on http://www.inmet.gov.br/portal/index.php?r=estacoes/estacoesAutomaticas. Accessed Jan 2017.